Any one of these accessorial items will help streamline the shipping process and protect your body. 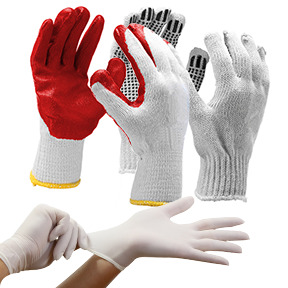 Why use bare hands and roughen the skin when you can protect them with a comfortable pair of packing gloves. Or why damage your teeth stressing out over cutting a piece of tape when you can purchase a snap knife that will do all the work for you. You and your employees will be ever grateful for any one of these accessorial items.